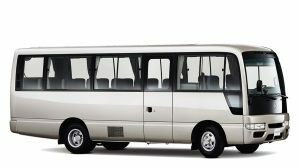 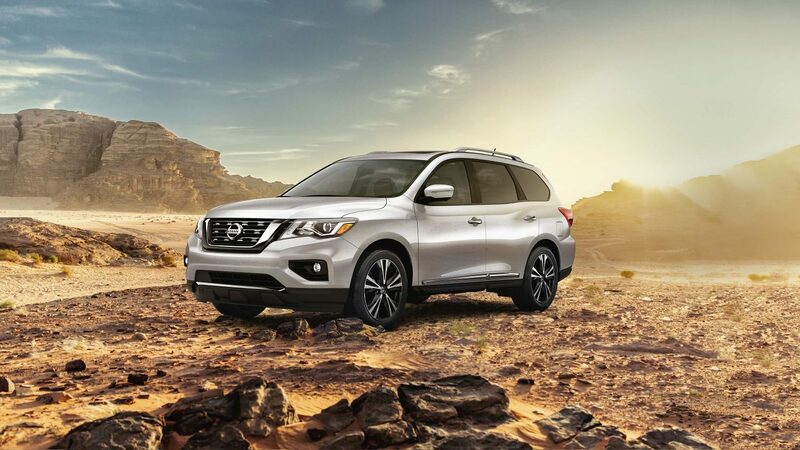 A rugged design greets you from every angle, while the signature character lines flow low on the body, providing a spacious interior filled with light. 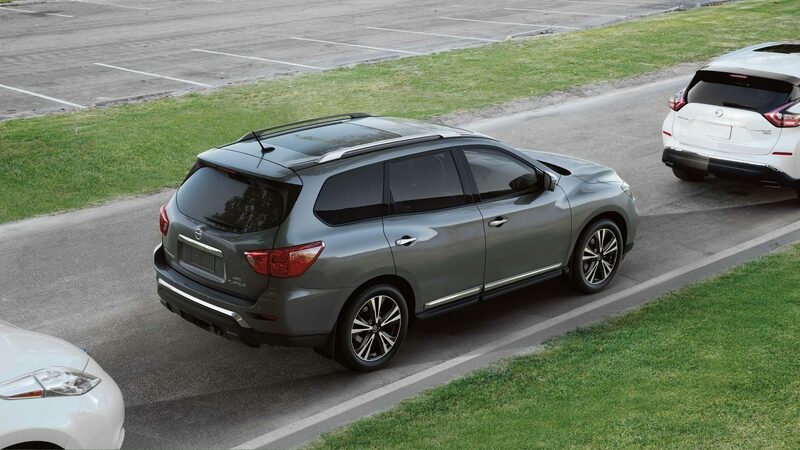 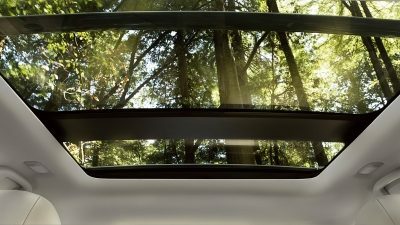 Strategically located spoilers and deflectors help improve Nissan Pathfinder’s aerodynamic performance. 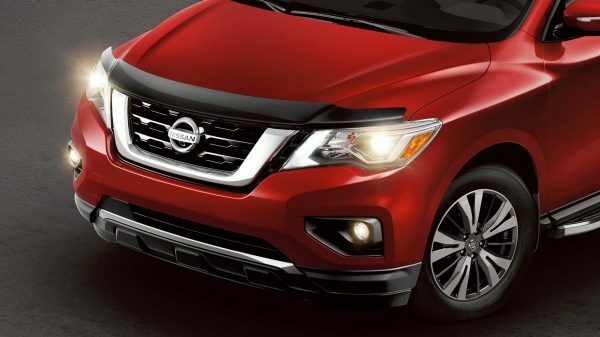 Take on the darkest nights with available LED low-beam projector headlamps. 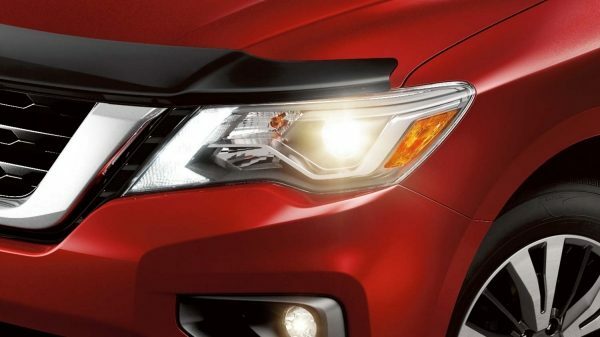 They brilliantly light the way, while providing an unmistakable look. 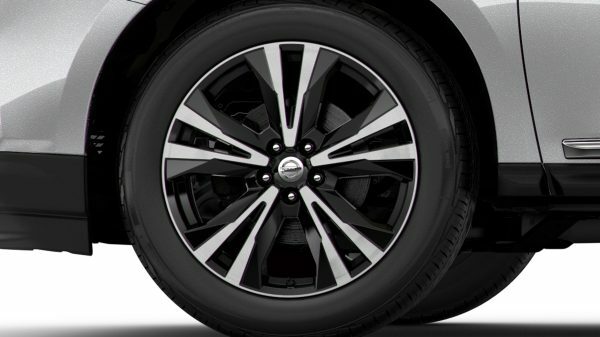 Take your Pathfinder to the next level with available beautifully crafted, 20" wheels. 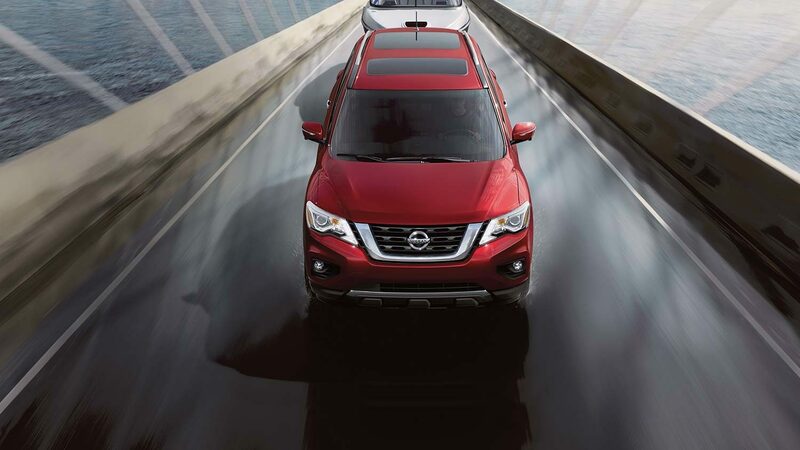 Their unique finish adds to the vehicle’s already bold presence. 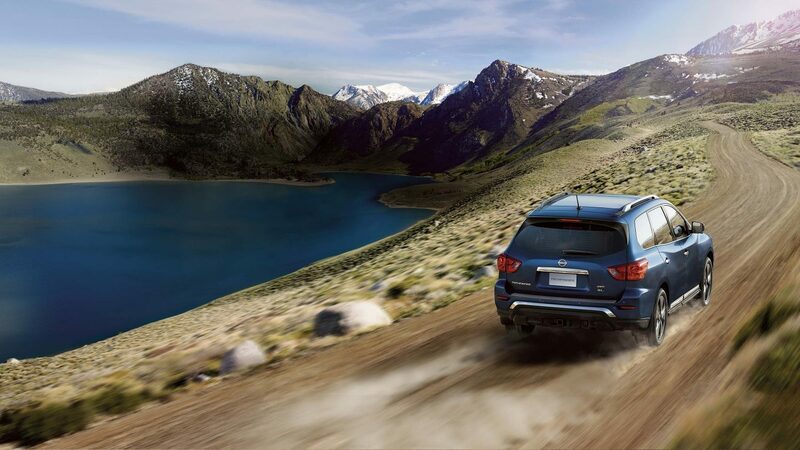 Consider it your base camp for big adventures. 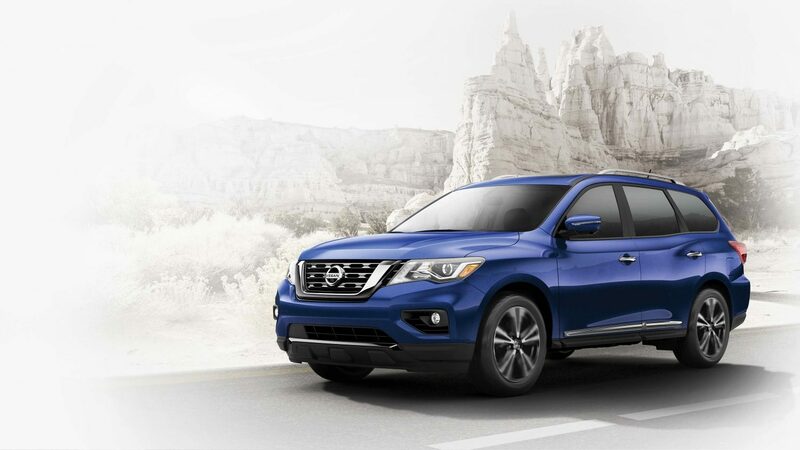 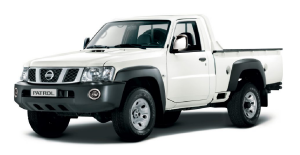 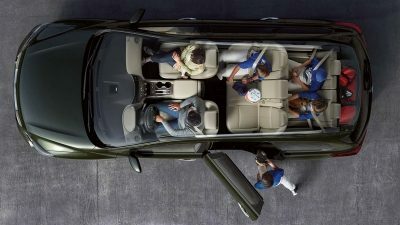 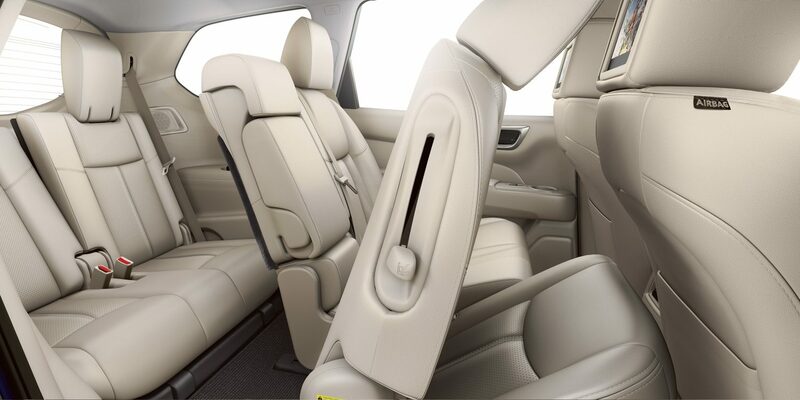 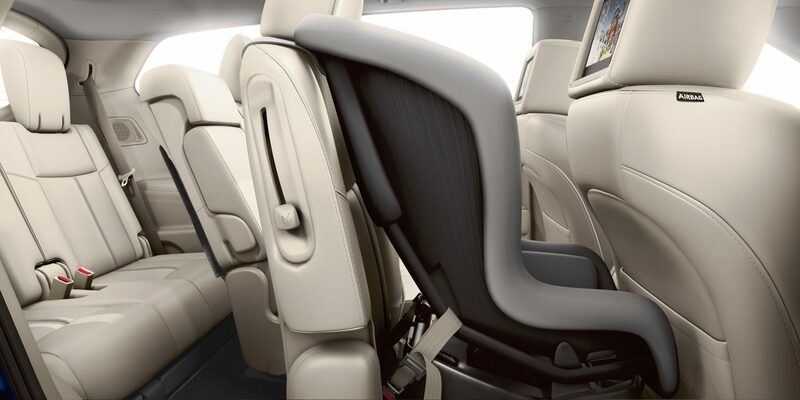 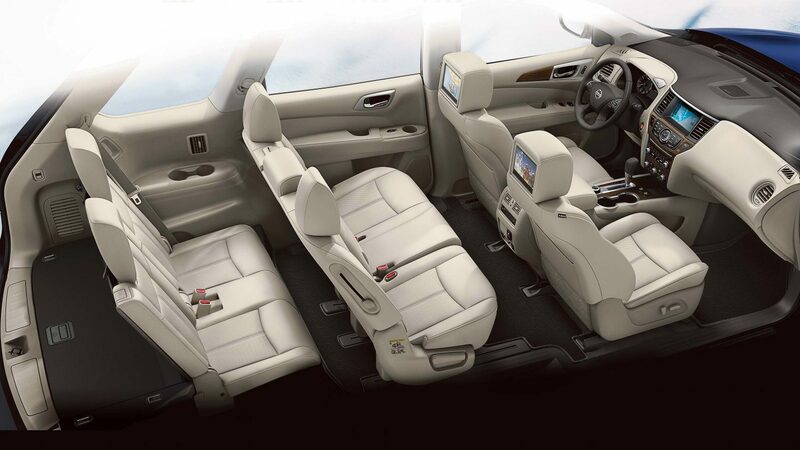 Nissan Pathfinder offers a premium spacious interior with available navigation and Bose Premium Audio System. 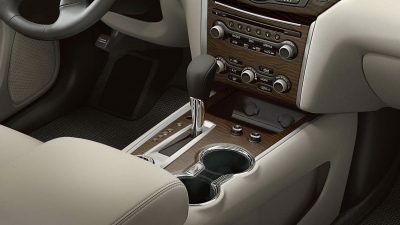 Leather-appointed seats, wood-tone trim, chrome accents are just a few of the luxury touches available on board.